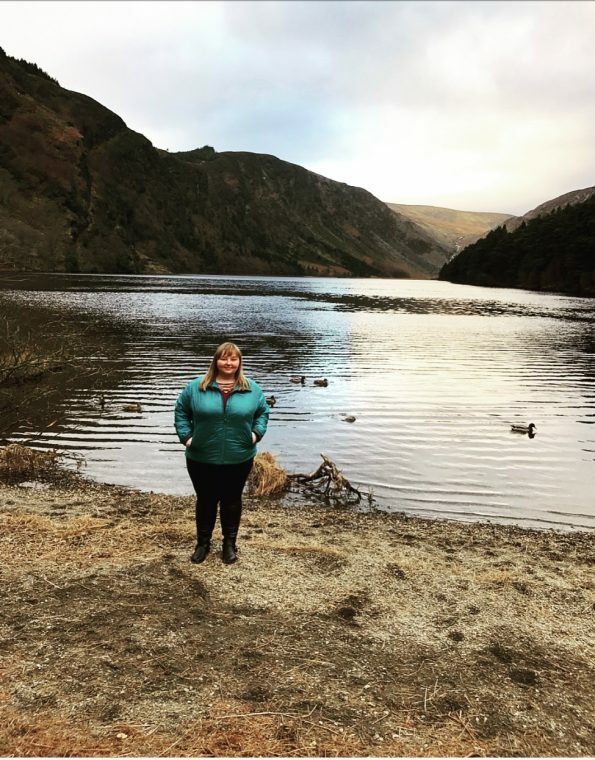 While I can’t say with 100% certainty that any one part of Ireland was my favorite, Glendalough is definitely high on the list of my favorite experiences. 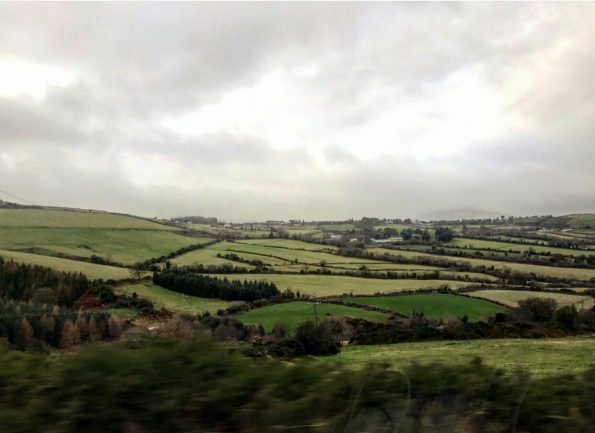 This destination is about an hour drive from Dublin, and is famous for being home of a Monoastic Settlement that was founded in the 6th century. Another major attraction to Glendalough is the two lakes that can be found there, after all, the meaning behind Glendalough is “Valley of two lakes”. The drive to Glendalough is pretty straightforward, very scenic, and only takes one hour. However there are quite a few hills and if you suffer from motion sickness it could become a problem on the drive up. 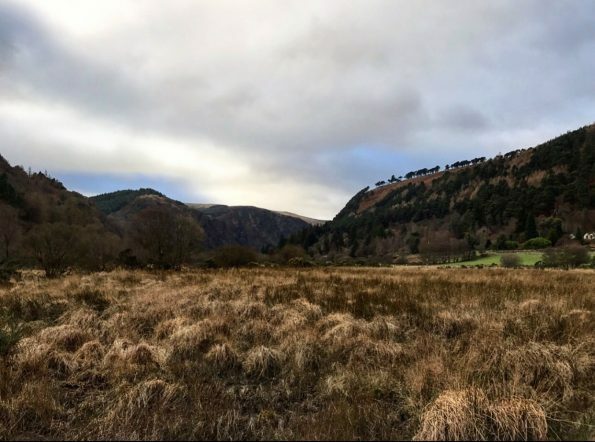 If you are traveling without having access to a car, there is a bus that runs from Dublin to Glendalough which takes about 1.5 hours to make the trip. The cost of a round trip ticket is €20, and you can find more information on the bus by visiting St. Kevin’s Bus Service . 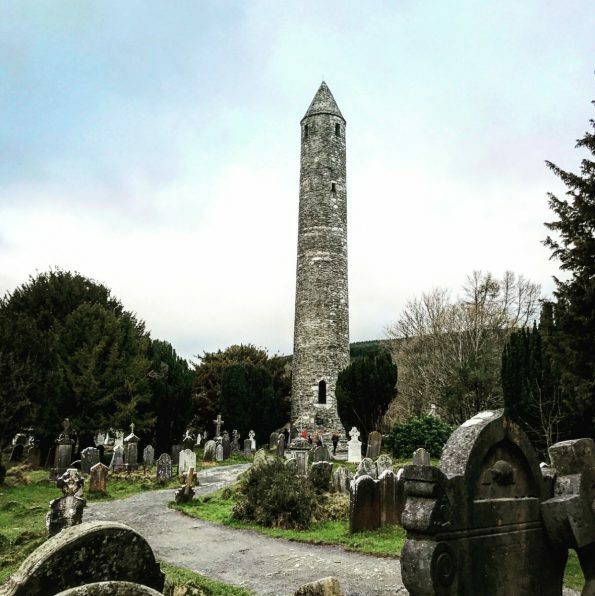 Visiting Glendalough, seeing the Monoastic ruins, and hiking the trails is all free of charge. On weekends you may have to pay a parking fee which will vary based on what type of vehicle you are driving and the area you are parking in. The Monoastic Settlement is why most people take a day trip to Glendalough, and for good reason. The settlement was founded in the 6th century by St Kevin, and there are still numerous remains that you can explore. Some of the ruins I found to be impressive include the Round Tower, St Kevin’s Church, also known as St Kevin’s Kitchen, and the Gateway. You can truly spend a couple of hours just walking through the settlement because there is so much to see. While there are many hiking trails you can take while in Glendalough, I highly suggest taking the very scenic and relaxing walk to the Upper Lake. The landscape is beautiful, and seemed to continuously change in the most gorgeous of ways. The walk took us about 20 minutes and was very easy with it being relatively flat the entire way. Once we arrived at the Upper Lake my jaw dropped by how insanely beautiful the view was. 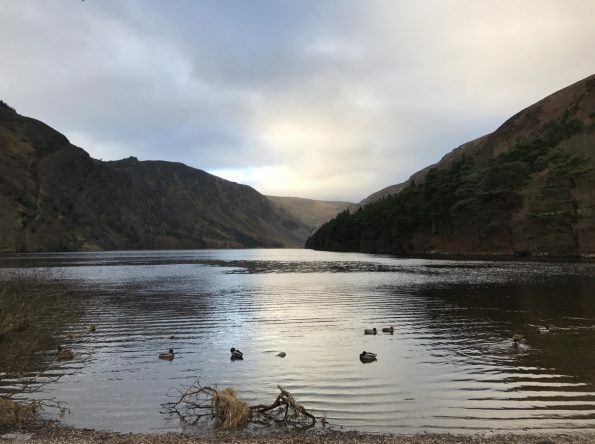 If you are planning on spending the day in Glendalough, you should pick up a guide from the visitor center that will have information on all of the hiking trails. This handy guide will set you back about ¢50. 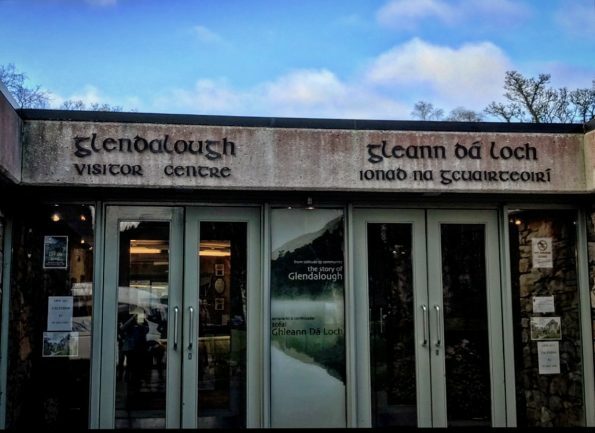 The visitor center will give you more information on Glendalough, but plan to spend about an hour there to get through everything. The cost is €5. 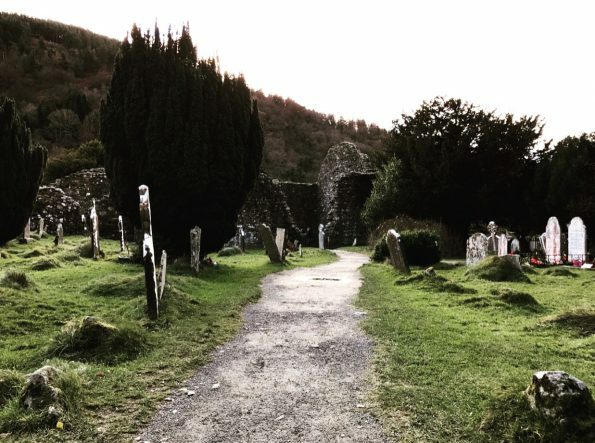 Glendalough is one of my favorite destinations in Ireland, I highly recommend making the trip whether it is for an entire day or just a couple of hours. Everything about it is beautiful and I guarantee you will feel completely at peace while visiting. Thank you so much! The fields were so amazing in person, I couldn’t get enough pictures of them. Great post. It was one of our favourite spots in Ireland. What a beautiful place, Bri! Thank you for writing about it. I ‘m planning on visiting Ireland and collect ideas on hikes and short trips from Dublin. This is perfect! Thank you! Definitely worth taking the time to see it! Thank you! I am so glad you were able to see it as well. Thank you for reading my post I am so happy that you will be visiting Ireland! When will be you be taking your trip?